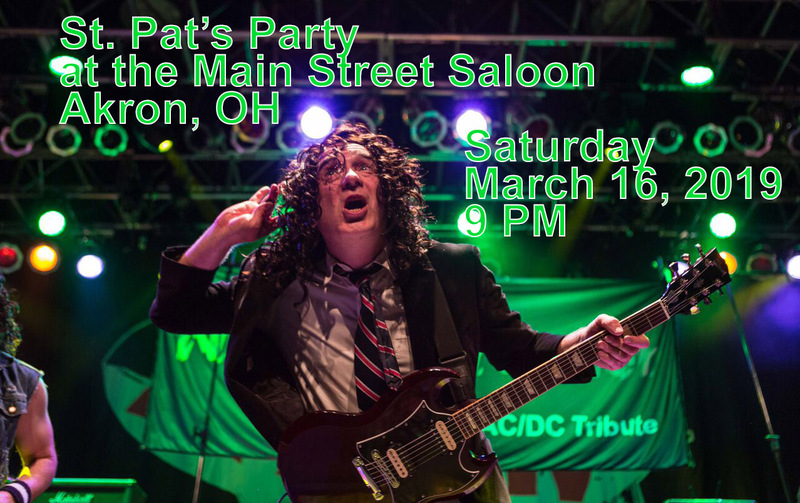 AC/DC Tribute Night Prowler is ready to rock the house at the Main Street Saloon in Akron on Saturday, March 16, 2019. It's Saint Patrick's Day weekend and the party will be rocking from 9 p.m. until midnight! Set list to include favorites like Thunderstruck, TNT, Highway to Hell, Dirty Deeds Done Dirt Cheap, and Back in Black, as well as plenty of surprises. Click here add this show to your Facebook calendar!